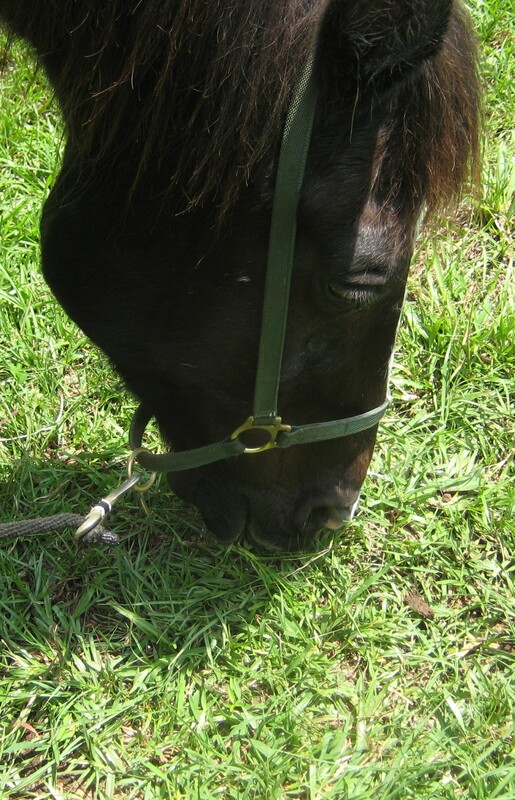 Grazing is peaceful. I came to this profound conclusion on Thursday when Mathilda and I were out for her evening hand-graze. In addition to a headache, I had my knickers in a twist over some perceived injustice in my life. After 30 minutes, my headache and bad mood had faded. I knew it was easy duty. I stand around & read. My idea of leisure is to sit around & read. How is this a hardship? Since my primary tasks are to keep Mathilda from rolling, Rodney from approaching, and myself from tripping, I am therefore required to read light, frothy books that do not clog my processor. Guilt-free beach reading. Plus, doing my good deed for the day means I can take the knot out of my necktie [The Scout’s Necktie]. All of which lovely and green tea and crumpets, but on Thursday I realized that it’s all about the sound – that continuous white noise of grass being ripped in half. It’s quiet enough not to intrude but violent enough to be soothing. It’s the organic version of popping bubble wrap. 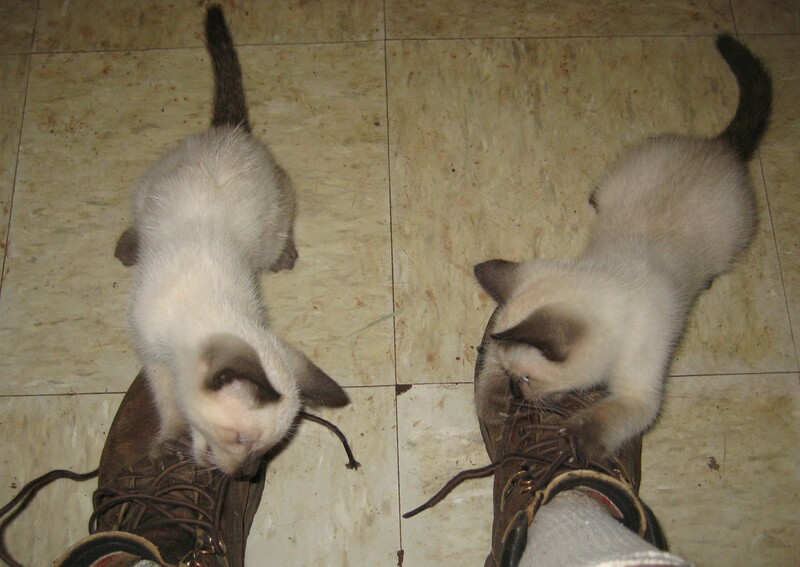 Help you with those bootlaces, Ma’am? I find the sound of the tram calming. It’s intermittent; not as regular as the Divinine Miss M’s tearing. The roar of the city, though, is constant, and the clack, clack, clack of the tram coming through is a hum that never fails to (barely) intrusively soothe me. Some people find the TV serves that function. Or music. Or the ocean. I find myself listening to the “background” sounds and it’s not peaceful. I like total silence with maybe a bird or two occasionally. Preferably a cardinal.